It’s not much of a secret that technology is changing the way we live our lives. And, from a brand perspective, it’s pretty easy to see how that’s also changing the way people interact with experiences, products, and services. Instead of doubling down on ideas that have lost their relevance, we should be constantly reimagining the way brands interact with humans. Instead of following the linear steps of the customer journey, we should be creating models that actually reflect what’s happening now. 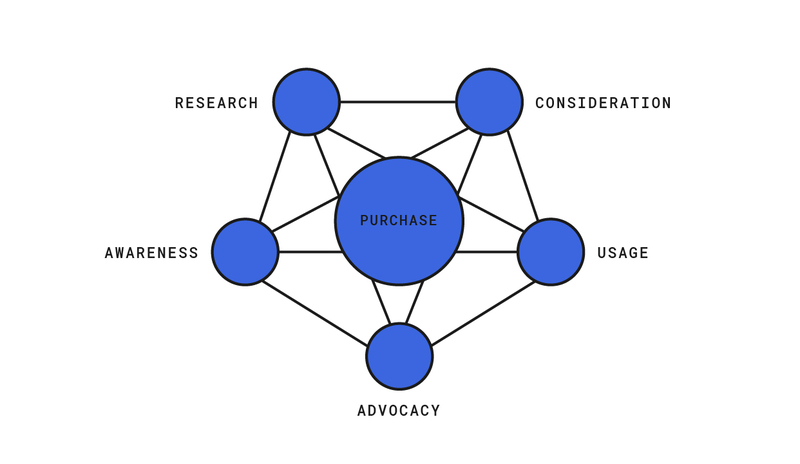 The traditional customer funnel is simple and straightforward. Its goal is maximum efficiency, which it achieves by funneling people through a predictable path that’s standard to every consumer. Which, in this day and age, is pretty ridiculous. With all the ways to interact with a brand, how can you possibly anticipate where someone is going to start — or how they’re going to proceed once they’ve begun? Next up is the loyalty loop. 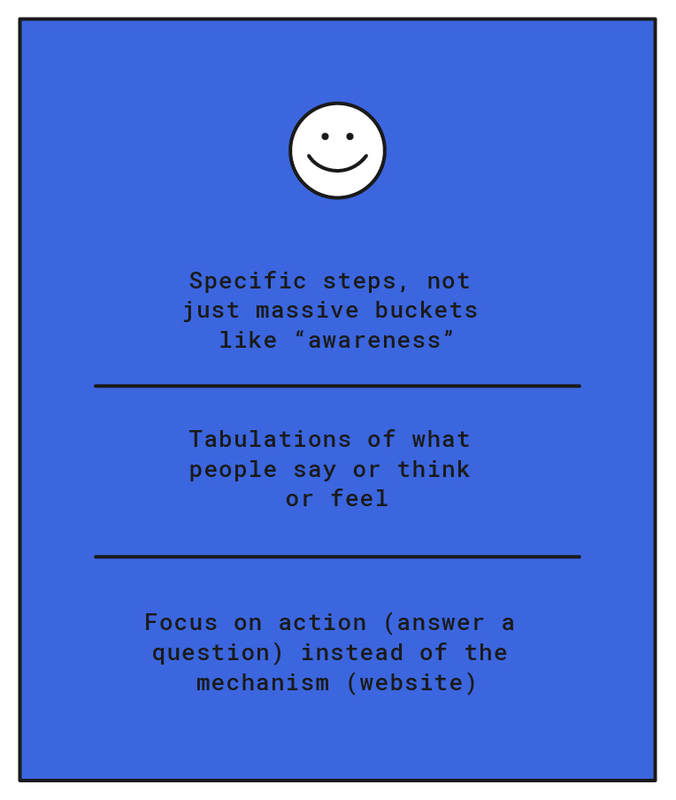 With the advent of social, we started to recognize that consumer interactions don’t just happen in one single line, but may cycle through various elements and start over again. But, as you might have noticed, there’s now quite a bit more to the story than social, and, even if there weren’t, consumer, brand, and platform relationships get more complicated every day. Moving on, we come to omni-channel. As its name implies, this model was built on the idea that mobile has created multiple paths to every touchpoint, and there could be lots of different platforms and influences driving a customer to any of them. So, points for thinking of different ways in, but this kind of cause and effect, 1-2-3 journey still isn’t reflective of the reality of what’s happening out there today. So, all that being said, some of the elements of modern human-centered design are working — the non-linear thinking, the recognition of multiple ways in — but there are still a lot of hangers-on from the oversimplified days of traditional modeling. 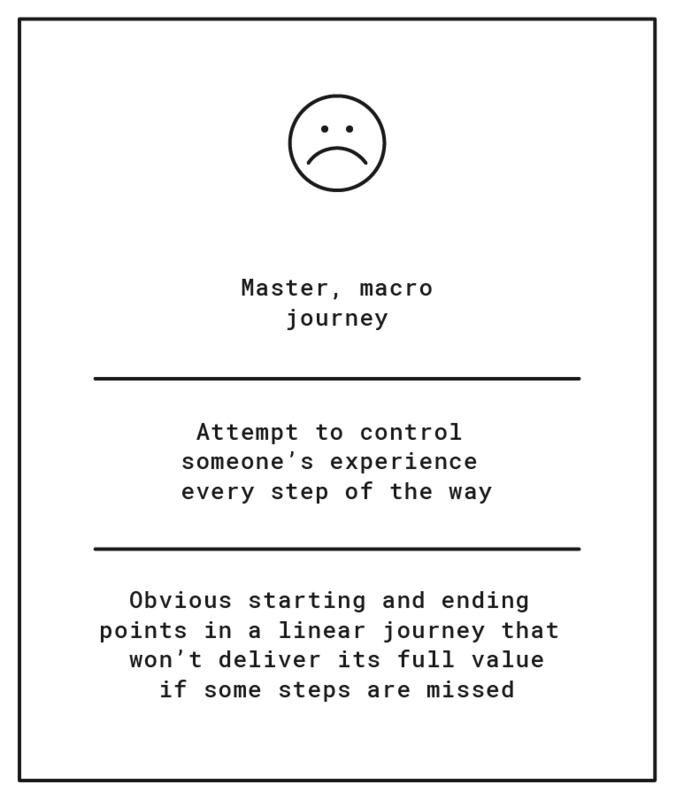 The thing that makes this so difficult is that the math just isn’t on our side — there are just too many permutations of even the simplest 6-step journey to design experiences for every scenario (that’d be about 1,956 scenarios in an omni-channel journey, for example). You’re scrolling through Instagram and get major FOMO from a friend who posted a photo of her gorgeously designed new bedroom. Those perfectly rumpled linen sheets look unreal. Time for Alexa. “Hey Alexa, what’s the highest rated linen queen sheet set for under $250?” Lausonhouse? Cool, never heard of them, but cool. “Hey Alexa do they have them in white?” Awesome. “Hey Alexa, can you put those in my cart?” Sweet. Your bedroom upgrade is on its way. Now let’s think about that same story as a more traditional customer journey. You see that photo on your Instagram feed and you google “best linen sheets.” You’re served several blogs and listicles, some of which are relevant. You read a handful, and there’s no consensus, but there’s a blog you sort of trust, so you check out their recommendations. Somehow you end up on Etsy, and you get stuck in a rabbit hole of seller reviews, trying to figure out how soon you can get them if you want them custom-made. Eventually you narrow it down to the best rated set in your budget, and you wait a month for delivery. But hey, at least you get to daydream about your new bedroom in the meantime. So a journey that, even just a couple of years ago, would have taken days, weeks, or even months, now happens in a few seconds. All the steps of the consumer journey have effectively collapsed into one moment. This kind of scenario might represent a small percentage of the market now, but it’s getting bigger every day, and, before long, it’ll be the new normal. And it’ll be a normal where every interaction with a brand is self-contained — every interaction has to assume it stands completely alone, with nothing preceding it (I had no idea who Lausonhouse was 30 seconds ago) or following it (if I need to make a return, Amazon’s handling it). It’s a future that demands every interaction does far more work in far less time and space, and that every interaction is functional, emotionally relevant, meaningful, and memorable. So, you know, not the easiest job in the world. But the good news is, we’ve got a way to design for it. It’s a way to think about the collapsing experience of tomorrow and the key interactions of today. It’s a concept we call Marker Moments.